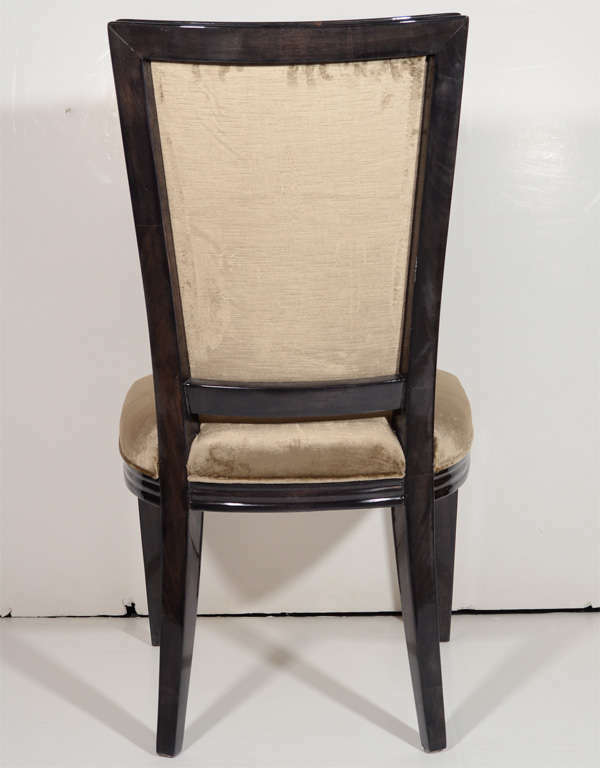 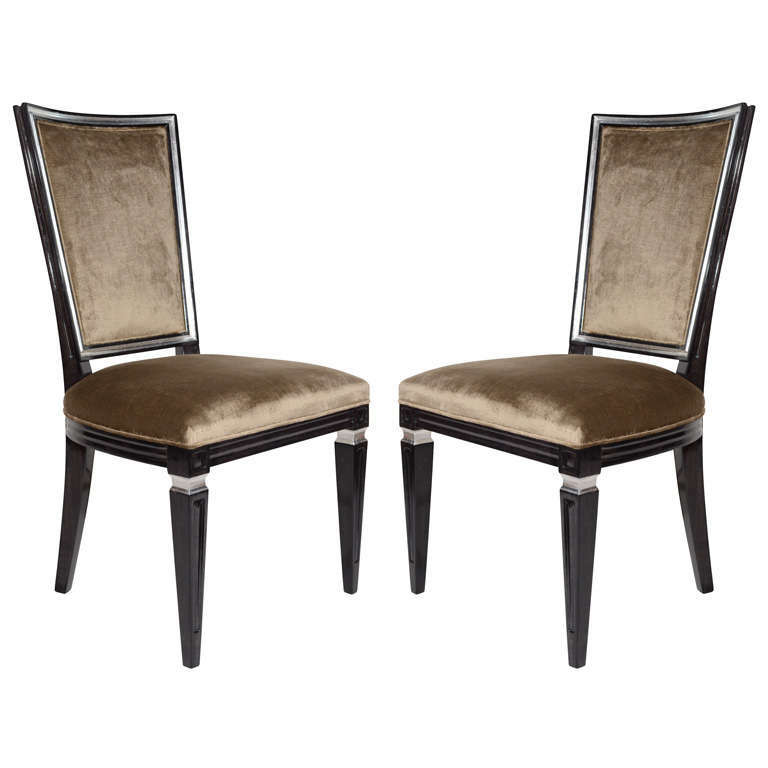 Pair of neoclassical style chairs with Gustavian design in walnut with an ebony finish and with antique silver leaf details. 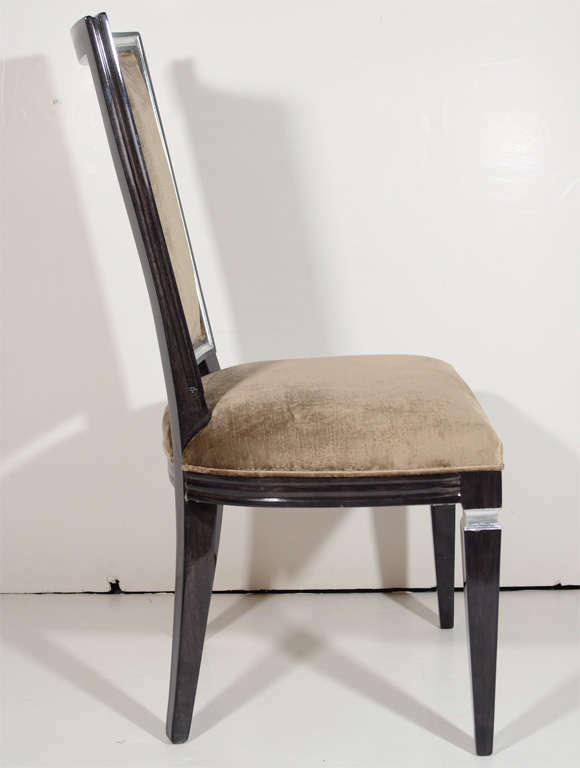 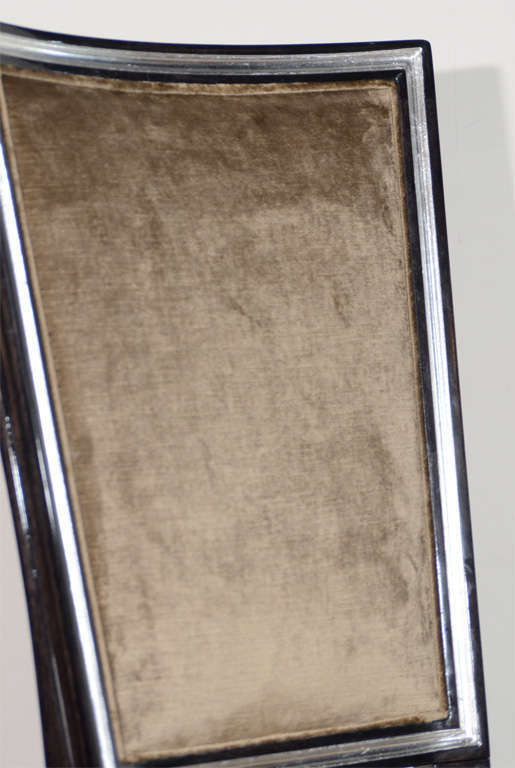 Chairs have an elegant high back design and have been upholstered in a mushroom tone crushed velvet. 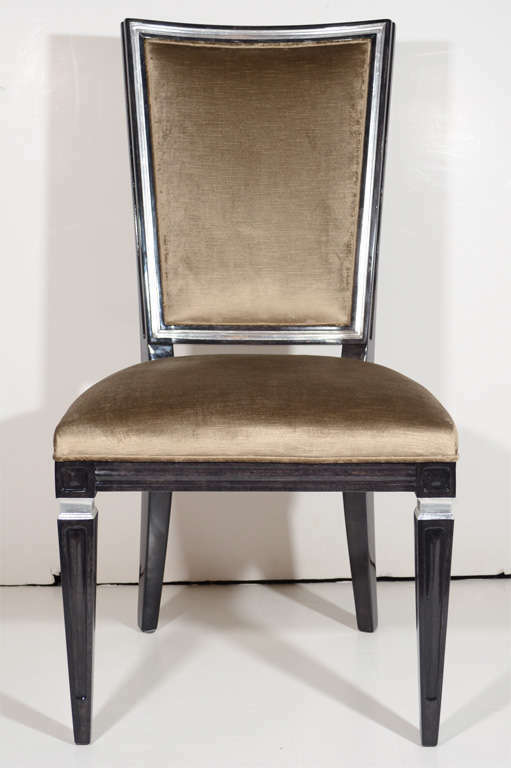 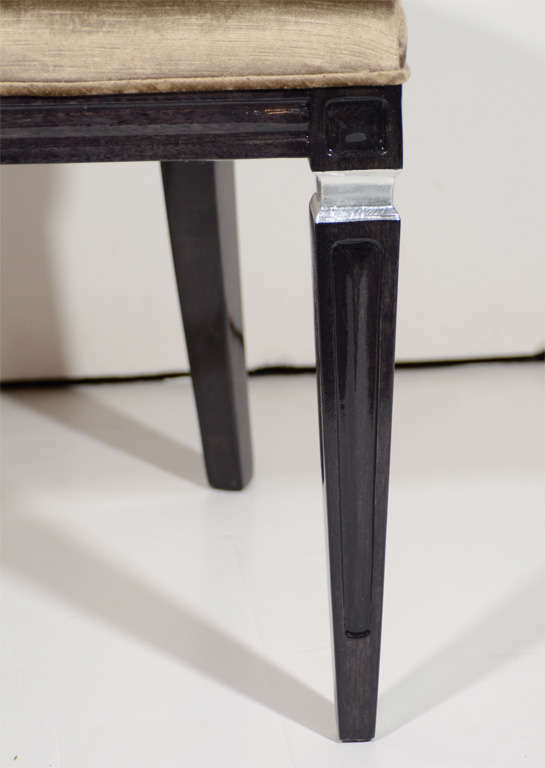 Perfect as occasional chairs, side chairs, or as host dining chairs. 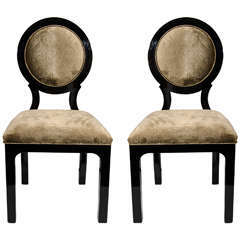 Pair of Hollywood Regency barrel back lounge chairs with gold cane and a gold wood frame.